Changzhou Welldone Machinery Technology Co., Ltd.
4, Two models material inner chamber mirror stainless steel and ordinary cold-rolled stainless steel. 5, Air circulation system consists of low noise fans and air cycle duct to make the temperature more uniform. The reasonable air circulation ensures the temperature uniform in the inner chamber and fast warm-up time. There are the adjustable air distribution plates inside the oven. The whole machine is low in the noise. The installation and maintenance are easy. Brief introduction of stainless steel industrial hot air dryer: Stainless steel industrial hot air dryer is the applicable equipment in various types of laboratory glassware. The dryers are universities, research institutes, chemicals, medicine, environmental protection and other essential equipment for laboratories. Our warranty is one year from the delivery date, we also provide service beyond the warranty period, but it will not free for the broken parts. Dongguan Huanrui Environmental Test Equipment Co., Ltd. It can be used for drying many kinds of materials such as limestone slag, coal powder, clay stone etc. 3. It mainly consists of rotary body, raw material feeding plate, lifting blade, driving and supporting device, sealing ring and etc. Rotary dryer structure Rotary drum dryer cosists of rotary body, lifting blade, driving device, supporting device, sealing ring. The dryer slopes slightly so that the discharge end is lower than the material feed end in order to convey the material through the dryer under gravity. The hot air can be made up of a mixture of air and combustion heat energy from a burner, in which case the dryer is called a direct heated dryer. When the air is preheated by some means where burner combustion heat air does not enter the dryer, the dryer known as an indirect-heated type. 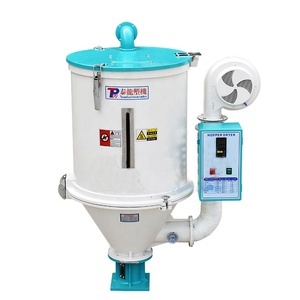 Alibaba.com offers 10,506 industrial hot air dryer products. About 8% of these are drying oven, 4% are rotary drying equipment, and 3% are hot air furnace. A wide variety of industrial hot air dryer options are available to you, such as free samples, paid samples. There are 10,534 industrial hot air dryer suppliers, mainly located in Asia. The top supplying countries are China (Mainland), Taiwan, and India, which supply 99%, 1%, and 1% of industrial hot air dryer respectively. Industrial hot air dryer products are most popular in North America, Domestic Market, and Southeast Asia. You can ensure product safety by selecting from certified suppliers, including 4,630 with ISO9001, 1,809 with ISO14001, and 1,707 with OHSAS18001 certification.